Powder skis don't get much bigger or more playful than the 2019 Volkl Revolt 124. With a huge shape, full rocker profile, twin tips, carbon stringers and a damp woodcore, the Revolt 124 is a ski that can handle backcountry lines, booters, pillow drops, and switch takeoffs and landings. With a massive 146/124/138 mm sidecut measurement, the skis have a ton of surface area. The 2019 Volkl Revolt 124 skis are the ultimate in playful powder skis. Any skier from advanced to expert can use the RTM 81 as an every day ski. Its versatile width, combined with the WideRide XL binding system, and innovative 3D.RIDGE construction are ideally suited for all day ripping on the groomers. The extended tip & tail rocker allows for effortless carving experience wherever you go. The 3D.Glass construction allows notably increased power transmission, higher torsional stiffness and enhanced edge grip, along with improved agility. A dream- come-true in every backcountry environment. With a full carbon construction and lightweight multi-layer wood core, it features full rocker and an early-taper sidecut, for true big mountain versatility after a self-powered ascent. It also features the added advantage of the ICE.OFF topsheet, designed to keep snow and ice from adhering to the topsheet to keep the lightest possible setup. If you are looking for the one ski that you can take everywhere, the Mantra is a great choice. This new season model has been redesigned to produce a highly sporty, all mountain freeride setup with carbon tips, a titanal frame and full sidewall. This years' Mantra is actually 4 cm narrower under the boot than the previous model. The new dimensions are built around a multi layer wood core and feature a moderate taper tip & tail rocker, allowing to ride the ski in a playful way or with full force whenever needed. Only its performance is more impressive than the looks of this full-rocker ski. 122 mm under the binding makes you stand on top of the world, although due to the full carbon fiber construction and 3D.Ridge with lightweight multilayer woodcore one is easily inclined to label it floating. It also features the added advantage of the ICE.OFF topsheet, designed to keep snow and ice from adhering to the topsheet to keep the lightest possible setup, which is incredibly easy to manoeuvre despite its size. The K2 Pinnacle 95Ti does nearly everything you could ask for from a ski. Its 95mm width and All-Terrain rocker profile generate float to handle deeper days while remaining quick edge-to-edge when laying down perfect carves on the corduroy. A Ti laminate and a triaxial braided Konic core maintains precise handling and control. The highly reactive tip & tail rocker ski with moderate taper, mulit layer wood core and P-Tex 2100 base is the ideal choice for women who love to ride hard on the slopes and smooth in deep powder. The Yumi is re-designed with a wider, 84mm waist, creating an even more playful, easy handling ski. We have also updated it with Titanal Band construction, adding stability and smoothness without extra weight. It features tip and tail rocker, full sidewall construction, and moderate taper in the tip. The strength of the Yumi has always been the huge range of skiers’ abilities who could enjoy it, and the lively, yet stable feel on the front side blended with the float and manoeuvrability for an occasional off piste ramble make it yet another winner. The Flair 76 Elite with tip rocker ups the performance ante for intermediate and advanced skiers to conquer the mountain no matter what the conditions. 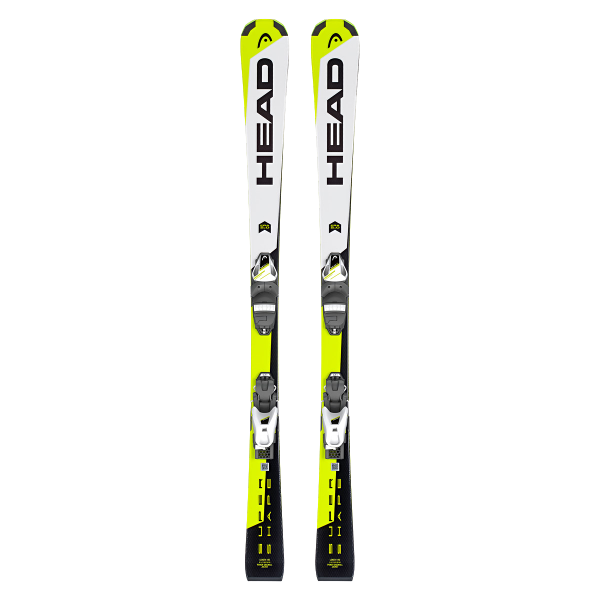 Its construction features a partial center sidewall that enhances edge grip and stability for front side skiing. The lightweight vMotion2 system is Grip Walk compatible, and features a wide interface with the ski for better power transmission along with easy-step-in heel technology. The exact same construction as the big 100EIGHT, featuring the exact same technologies, except for the two things we actually did reduce: Size and weight. The 100EIGHT W also comes in 157 and 165 cm length with an average weight of 1700g per ski (@ 165cm). The ultimate big mountain ski for every serious freeride lady. Striking a balance between off-piste agility and groomer precision, the Alluvit 88Ti surfs, slashes, and carves in every condition. Titanal metal laminate and our K2’s Bioflex Konic core are sandwiched between triaxial braided fiberglass to deliver the response and exactness necessary to drive the ski through crud and finesse the ski at high speeds. With the edge-to-edge quickness usually found in a performance piste ski, the K2 Alluvit is the swiss army knife in the women’s freeride collection. The Talkback 84’s Paulownia Tour Lite core and Snophopic topsheet are the perfect pair for quick ascents on the skin track while providing the perfect flex pattern for flowing and smooth descents. K2’s tip and tail grommets accompany all K2’s touring skis to make skin to ski transition the quickest in the industry. Great first skis for kids starting out and wanting their own skis. The Supershape SLR 2 on-piste ski delivers easy handling. This means fast, easy learning. It helps kids who already know the basics to upgrade and fine-tune their skills. With its stability, this is a kid's ski with balance and control, even at high speed. The durable topsheet is designed for hard knocks. Making it the perfect on-piste ski for anyone with a passion for practice. Ideal for all kids over 8 years old who already have a couple of ski school badges on their helmets.